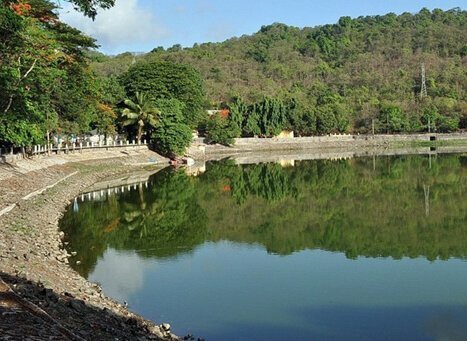 Environed by the majestic hills of Yeoor, the Eco-friendly Upvan lake is the largest of its kind in Thane of Maharashtra. Built and revamped by J. K. Singhania with the sole objective of supplying water to the Raymonf factory, the lake became a primal water supplier to the entire city of Thane. Famed for organizing the popular Sanskruti Arts Festival, Upwan’s beauty is more so enhanced by the paradisiacal charm of the Yeoor hills that covers it with pride and glory besides providing for a nature sightseeing in the state of Maharashtra. The Yeoor hills is enveloped in rich biodiversity and is home to a large number of wildlife. Referred as ‘Thane’s Lover’s Paradise’, Upvan lake is indisputably of the must visit places besides the Kanheri Caves that shares close proximity with it. Carved out of rock and adorned by a river, the mystic caves of Kanheri offers rich heritage and is mostly frequented by the history buffs. The beautiful Global Vipassana Pagoda, the vintage Shitila Devi Temple, the historical fort of Shirgaon, the tranquil beach of Shirgaon, the lake of Talao Pali and some tempting malls are some of the best places to see around the lake. Rated as one of the best recreational center, Essel World is the favorite hotspot amongst the thrill seekers. Similar to this, the Yazoo park is all the rage amongst the kids and adults alike for the eye-catching musical fountain and the light show. Sanjay Gandhi National park is all about the rich greenery and the adventuresome safari ride through them to witness the wildlife strolling around besides being one of the famous tourist spot. The epitomizer of tranquility, Shirgaon beach is adorned by the sardines of palm and coconut trees and is one of the frequented tourism places. Upwan tourism is much more than the lake and the busy roads. It’s about the innumerable places of interest all of which ensures the perfect holidays for you.